Dog Nutrition 101 is the topic of this page, especially how it relates to small breed dogs. Dogs need a balanced diet that consists of proteins, fats, carbohydrates, vitamins, minerals, and trace elements to keep their bodies in top shape and healthy. There seems to be some controversy over dog nutrition in recent years. Some people feel that dogs are carnivores and only need to eat meats where others think dogs are omnivores and should eat a wide range of foods including meat, vegetables, fruits and grains. The omnivore theory dates back to dogs in the wild. Early dogs would eat the entire carcass of an animal including the stomach contents, organs, skin and meat, providing them with a wide variety of nutrients. Much research has been done into canine nutrition, but unfortunately a lot of the studies are done by the pet food industry. Just like humans, dogs need certain items in their diet in the right amounts and in forms that can be digested by dogs. To be a informed consumer of dog food, there are a few topics on dog nutrition 101 that you should know. For this Dog Nutrition 101 page, we will look at six essential items that all dogs need. 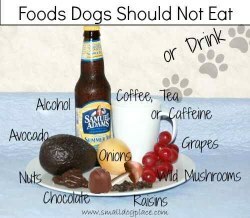 Dogs must eat foods containing the right amounts of all of these six diet components in order to stay healthy. We often forget to consider water as an essential part of the diet, but you or your dog would not live long if you were deprived of water. An adult dog’s body is made up of about 50 to 60 percent water. A puppy is about 80% water. Dogs need clean cool water at all times. Dogs that eat dry food will require more hydration than dogs on a moist diet. Pregnant and lactating dogs need more water. You need not worry about providing too much water. Dogs will drink what they need. Proteins are needed to grow all body tissue—bones, muscles, hair, nerves and everything else. Often referred to as the building blocks of tissue, Proteins are complex organic molecules that are made up of one or more chains of amino acids, 23 of them to be exact. Dogs produce some of those amino acids within their bodies but others must come from the diet. Those that are required to be in the food are called essential amino acids because the body cannot produce them. Nonessential amino acids are those manufactured within the body. The 10 essential amino acids are arginine, histidine, isoleucine, leucine, lysine, methionine, phenylalanine, threonine, tryptophan and valine. Those essential amino acids needed by dogs come from both animal and plant sources. Protein in the diet from animal sources such as eggs, meat, and fish is considered a higher quality complete source. Plant sources of protein are considered incomplete and come from vegetables, fruits, and grains. Even though it might appear that dogs would do better on a 100% meat diet because it provides protein, in actuality, it is not that simple. They need both kinds because they work together to keep the dog healthy ensuring that all normal parts of the body function properly. Digestibility of the protein source is a major factor. A dog food can have a high protein content but if the type of ingredients that comprise that protein cannot be easily digested, it is of little value to the dog. A digested food is able to be used by the body. The most digestible sources of protein in the diet are eggs, muscle and organ meats. Non digested sources of protein are excreted without adding any nutrient value to the dog. You can determine the amount of crude protein in a dog food by looking at the guaranteed analysis on the label. Unfortunately, that will not tell you anything about digestibility. A food could have a crude protein value of 32% but if only 55% of it is digestible, the dog is being starved of the amount of amino acids needed by his body. According to the National Research Council, a growing puppy requires a diet that is about 29 percent protein (by weight). This protein should provide about 20-25 percent of his dietary calories. Adults need about 18 percent dietary protein. If there is more protein in the food than is needed by the dog’s body, the extra protein is metabolized and used as an energy source. Next is the carbohydrate group that includes both the simple sugars found in fruits and milk to the starches and fibers found in grains. Carbohydrates provide energy for the dog and assure that the intestinal tract functions smoothly and efficiently. Common carbohydrate sources in dog foods are corn, rice, wheat, barley and oats. The carbohydrates must be processed properly, they are easily metabolized by the dog’s body. Grains can add to the overall protein content, but they also add valuable nutrients to the diet. Higher quality foods may also contain vegetables and fruits. Even if the grain offers little of nutritional value, many dog food manufacturers will add it because it contributes to the overall fiber needed for intestinal health. Dietary fiber aids the digestive system by helping to move the stomach contents through the intestines. Too much fiber can cause loose stools, gas and increased stool volume and frequency. Vitamins are organic compounds needed by the body in tiny amounts to assist in regular metabolic processes. Each vitamin acts in a different way and all are needed in the food. Dogs cannot make their own vitamins. Minerals are inorganic compounds required by the body. Since they cannot be synthesized, they must be provided through the diet. The body cannot synthesize any of them, so dietary supplementation in proper balance is vital. Some minerals are required in minute amounts called trace minerals. Others are needed in larger quantities such as calcium, phosphorus, magnesium, sulfur, potassium and sodium. 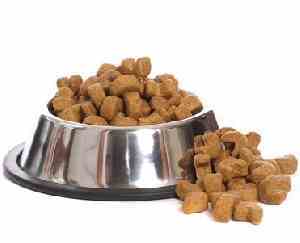 Higher quality dog foods contain Chelated, amino acid chelate, amino acid complex, proteinate, sequestered minerals. These forms are more easily absorbed by the body than minerals supplied in other forms. If you see words such as "oxide", "sulfate" or "phosphate" on the ingredients list, they are less easily absorbed mineral sources. Small dogs grow faster than large breed dogs reaching maturity at a younger age, usually long before their first birthday. They also have a faster metabolism compared to large breed dogs which mean that small breed dogs have a higher caloric requirement per pound of body weight than their larger cousins. It also means that more protein and fats in the diet are necessary for optimal health. Small dogs also have smaller stomachs, so less space to hold large meals. Since they need to consume large qualities in relation to their body weight, they require small meals, several times a day. Puppies especially do better on three meals a day until they are six months old. If small dogs do not eat on a regular basis, they can be prone to blood sugar drops that result in hypoglycemia. Small dog breed dogs do better with smaller sized pieces of kibble. Many commercial dog food companies now offer specific foods for the size of the dog and some even offer breed specific foods. So, what is the best food for small breed dogs? Everyone has their opinions. If you plan to offer a commercial dog food, it is best to find a company that understands the unique digestive requirements of small breed dogs. Stay away from those that claim to have a small breed brand just because it comes in small pieces. If you are serious about Canine Nutrition, this book Dog Food Logic is an excellent place to start. Not only does it provide reliable facts, but it also displays many of the myths circulating today about the dog food industry. When I began to research nutrition and food for my dogs, this was one of the books I purchased. I refer to it frequently when writing articles or when a question comes up. Highly recommended. This book goes beyond canine nutrition and ties what we feed our dogs to their cellular health where it all begins. This book packs the latest research about what we and our dogs eat affects gene expression and links this knowledge to practical things we can do to help our dogs live longer and healthier lives. Did You Find Dog Nutrition 101 Helpful? If so, may we suggest a couple more pages you might enjoy. 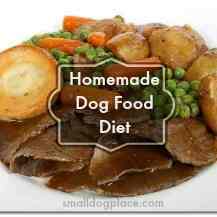 Considering a Homemade Diet for your Little Dog? Read this Article First. Dog Food Options: Dry, Canned, More.. So Many food options today. Do you know which one is the best for your dog? We'd love to share all of our food with our little friends, but some just shouldn't be shared. Find out the worst foods your dog could eat. So you want to serve the best food but just not sure where to start? Here are some great ideas to help you make the best choices. 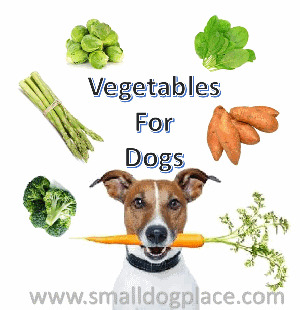 Dogs can and should eat vegetables, but which ones provide the best nutrition and greatest taste to your small dog? 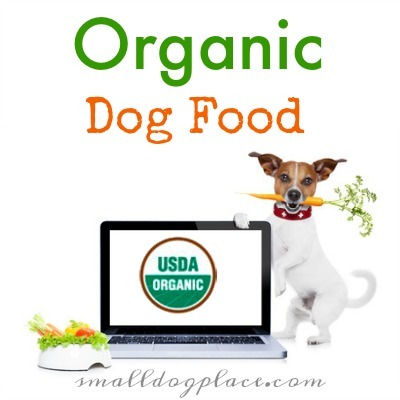 Should you be providing an organic diet for your dog? You are switching to organic. Should you also switch your dog too? Find out.